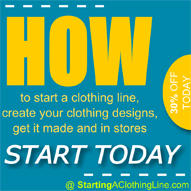 StartingAClothingLine.com offers products and information on how to start your own clothing line, design it, get it made and in stores. We have been empowering clients worldwide since 2004. Plus Our SCL Blog has the latest fashion, style, design, clothing line news and advice on how to start & design your clothing line. StartingAClothingLine.com, based in the USA, is a firm dedicated to helping ordinary people launch successful careers in the fashion industry as clothing line owners. With over 14 years of fashion industry experiences and clients in over 50 countries, we continue to strive to help the next generation of designers succeed in the world of fashion. 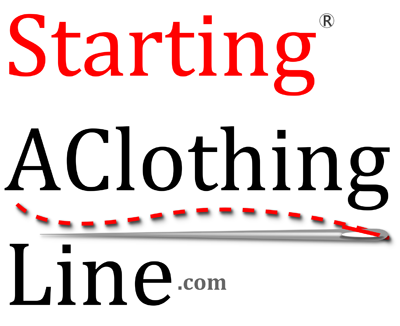 StartingAClothingLine offers tools and resources to help you start your own clothing line, fashion design software to design it and list of manufacturers that can make your line. Copyright StartingAClothingLine.com, 2019. All Rights Reserved. Digital Fashion Pro is an exclusive trademark of Harper Arrington Publishing LLC.